Our 50-metre pool is the ultimate liquid gym. Think your land workouts are a challenge? Hop into the water and take your fitness regime to another level. The pool is 50-metres long and 20-metres wide. We have two moveable bulkheads that we inflate and can move into multiple locations. The aquatic team loves moving the bulkhead and the current record for completely re-configuring the pool is 17 minutes. That includes removing lane ropes, inflating and moving the bulkheads, popping the backstroke flags into their new locations, taking out and removing ladder handles, relocating the pace clocks, and installing the lane ropes. Phew. 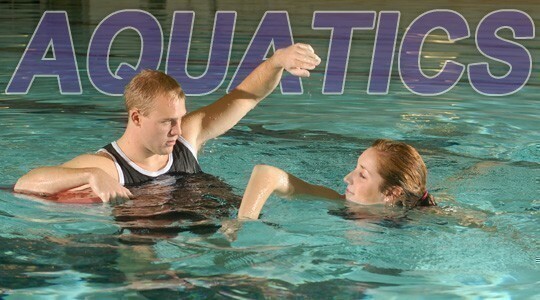 If you are new to swimming or are a complete non-swimmer we highly recommend our learn-to-swim program. Our pool is not the place to try and teach yourself how to swim. The shallow end (it's not really shallow...) is 1.35-metres deep and slopes reasonably quickly to 3.75-metres. Please remember to keep it clean. We require all swimmers to take a thorough shower before entering the pool. The Lifeguards do their best to remind people but we rely on our participants to take the initiative and take a shower. Feeling a bit stuffed up? Please do not swim when you are sick, and remember that spitting either into the pool or into the overflow gutters is not permitted at ANY time. We get lots of comments about people who do not shower and/or who spit so please do your part. Some like it hot. Our pool is not hot. We keep it at a comfortable temperature for active swimmers which is 28.3 degrees Celsius or 83 degrees Fahrenheit. Keep in touch! We're also on Twitter @WesternPool!